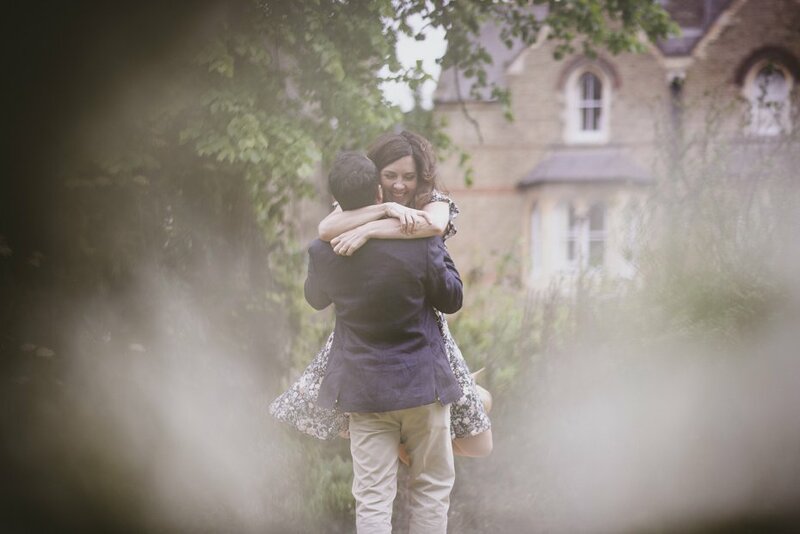 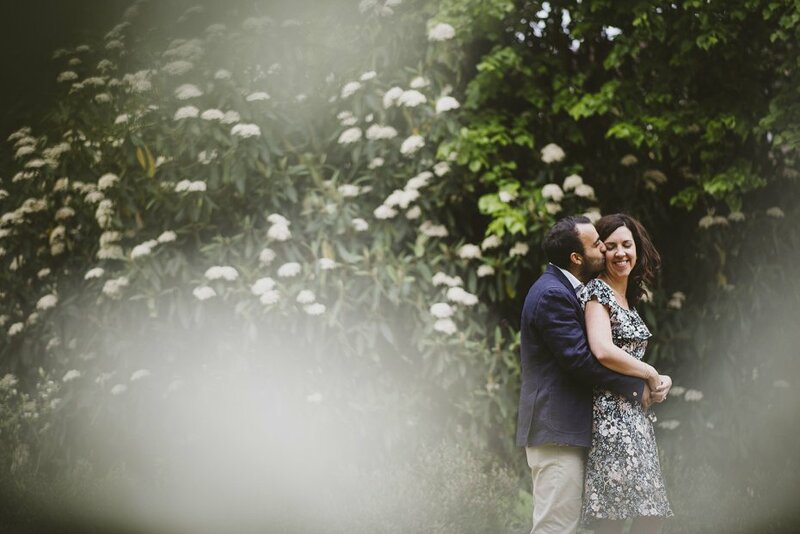 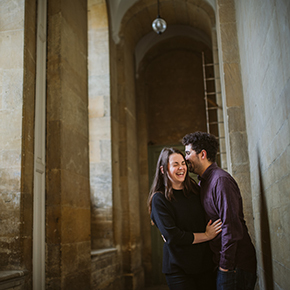 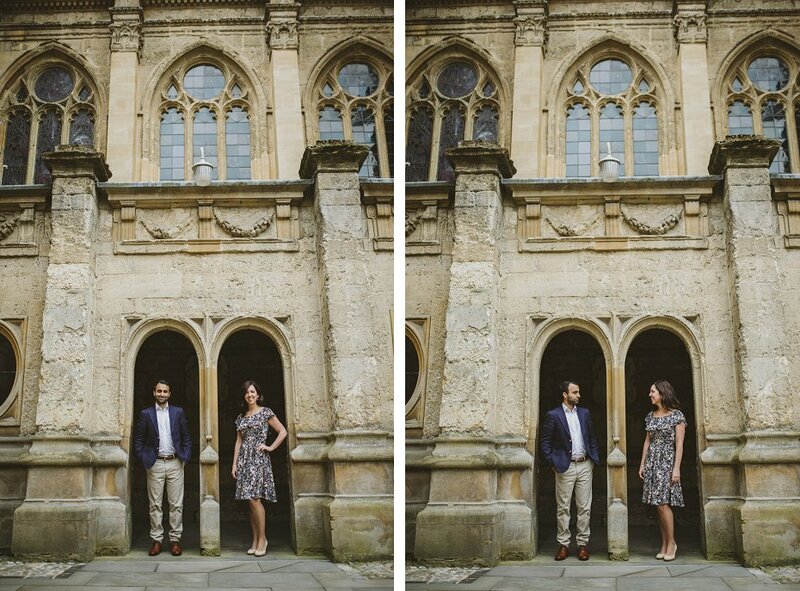 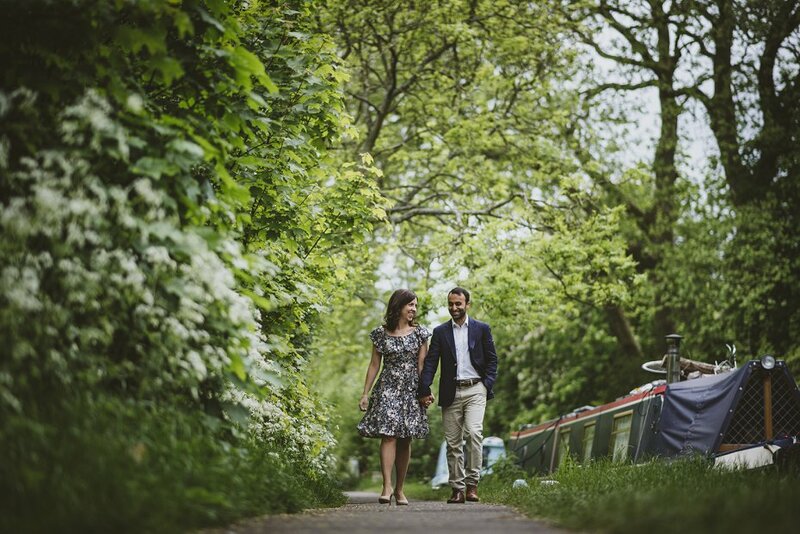 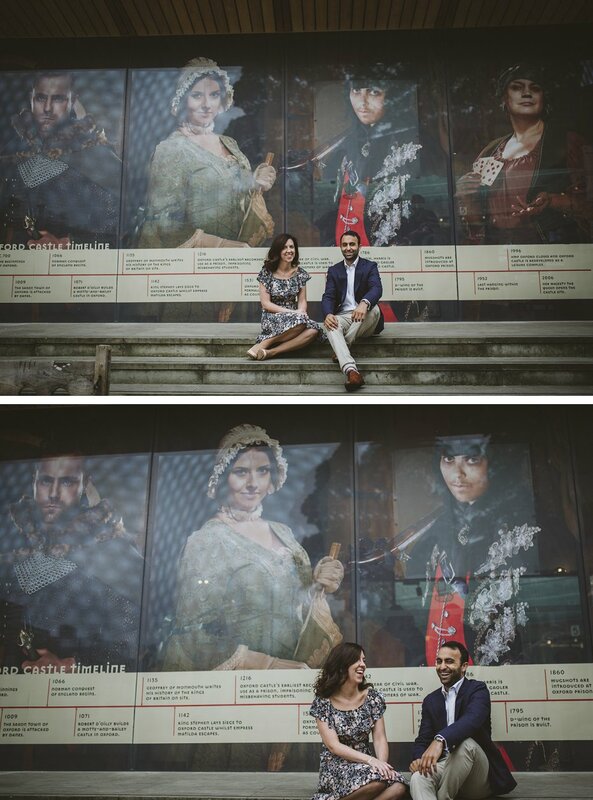 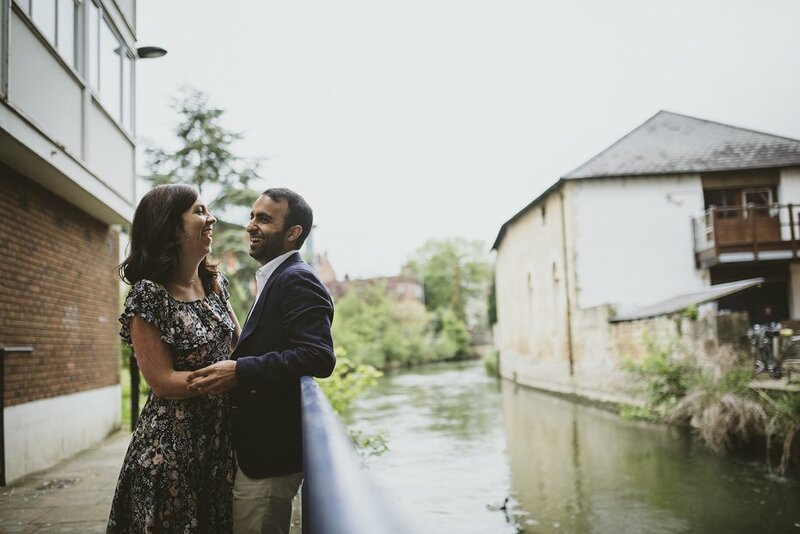 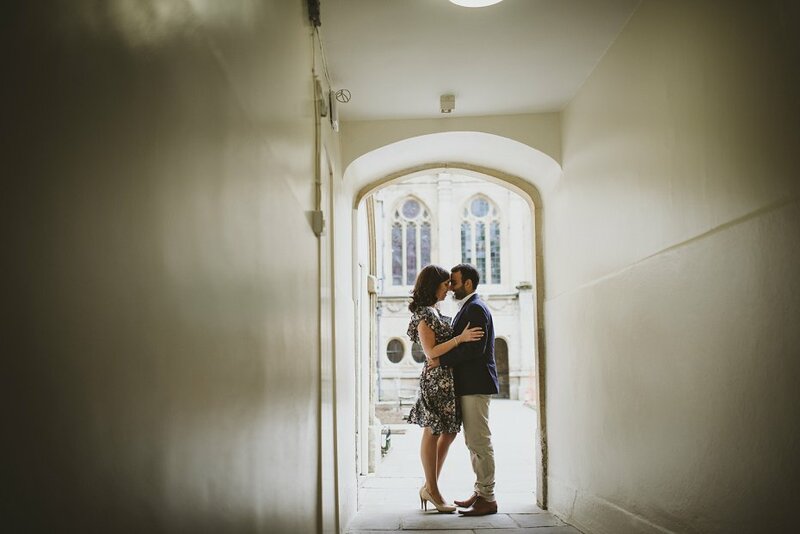 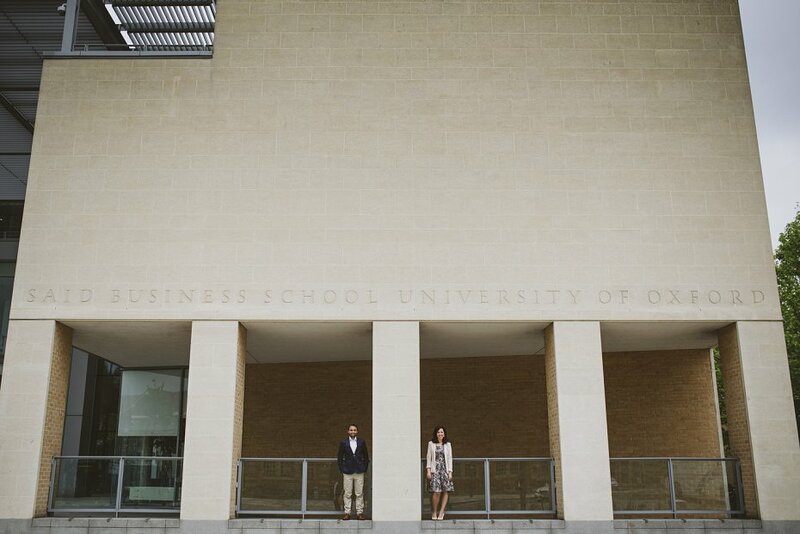 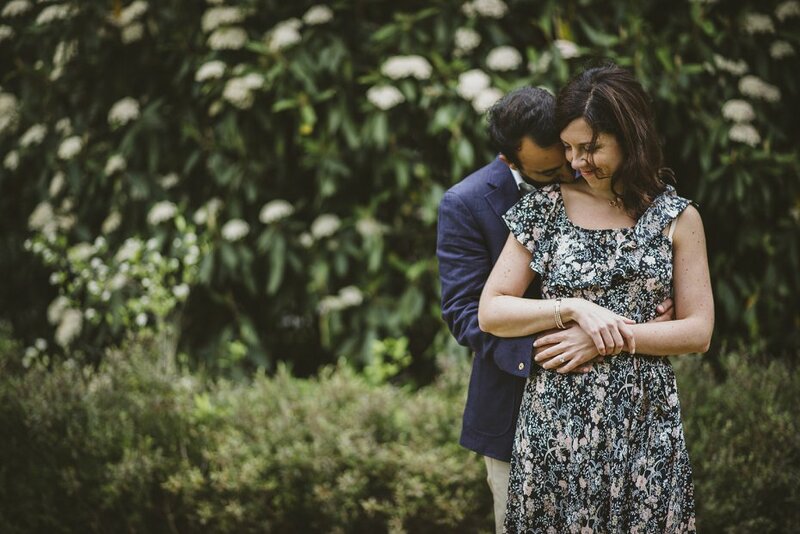 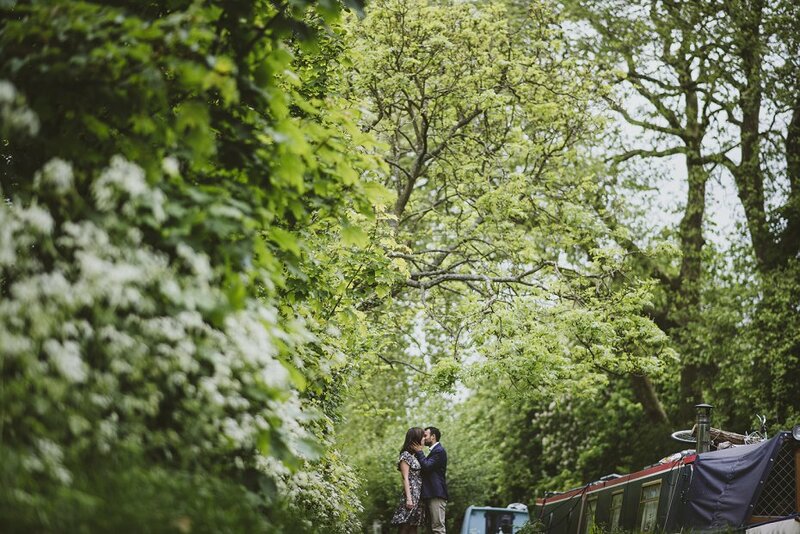 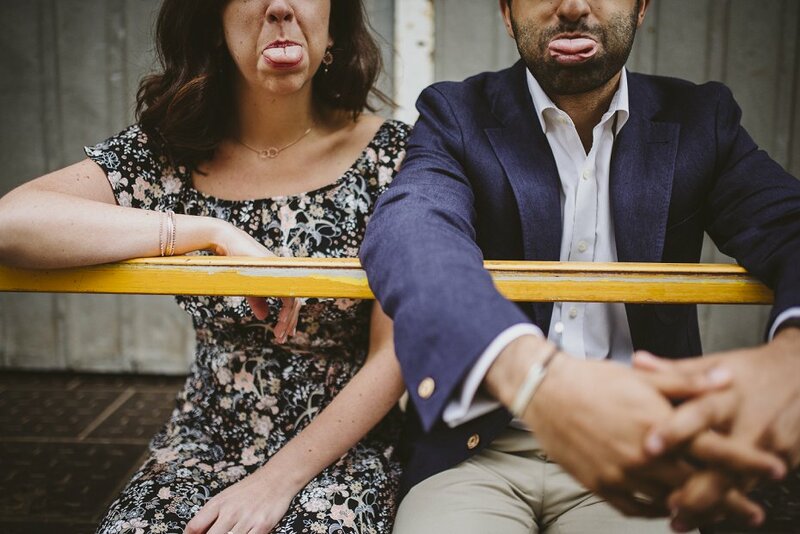 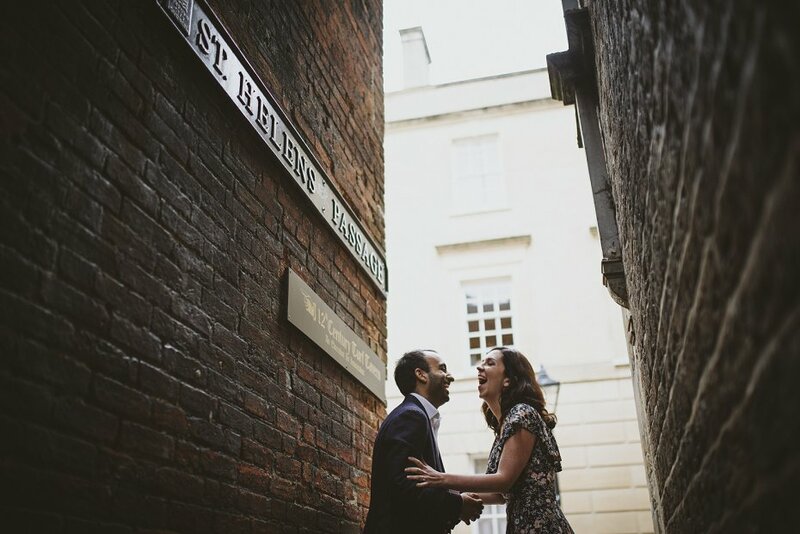 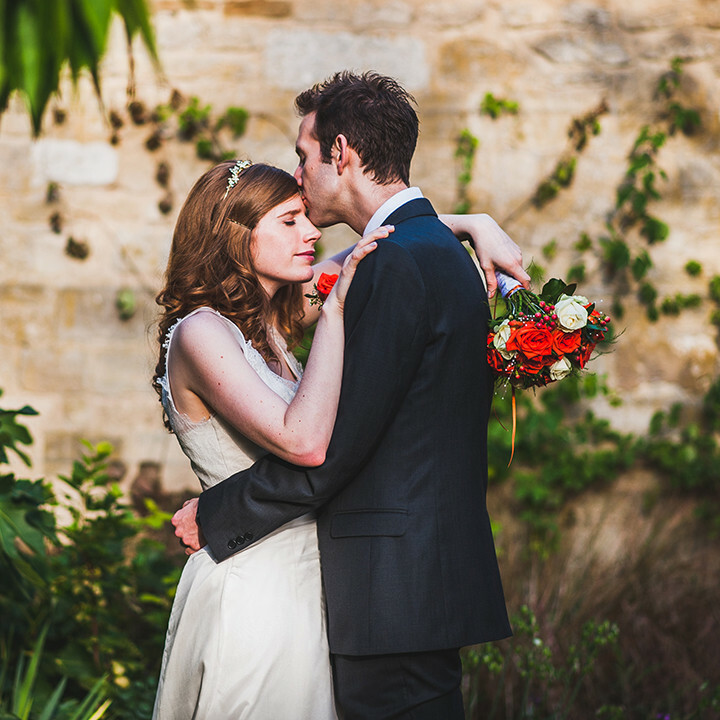 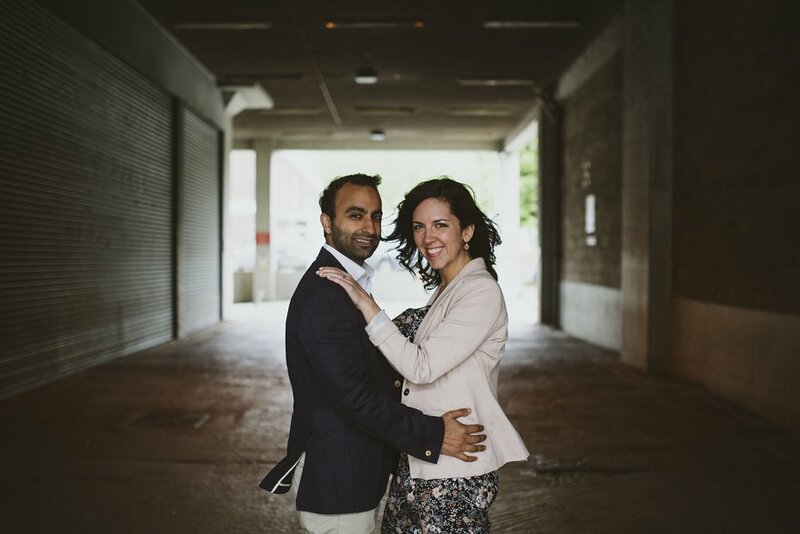 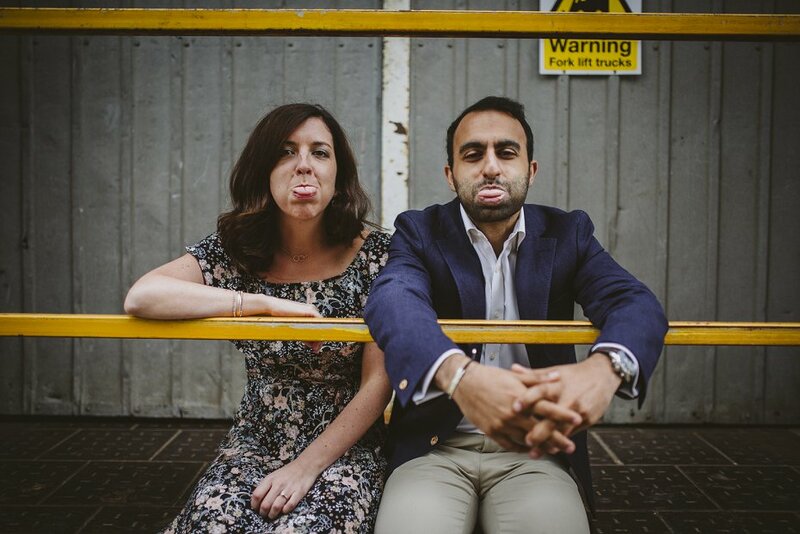 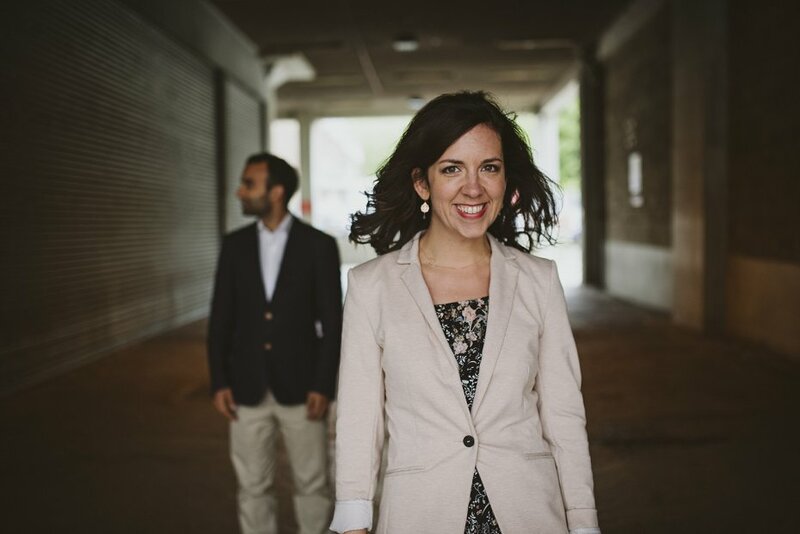 Last month I met up with the lovely Noreen and Pritesh to do some Oxford engagement photos. 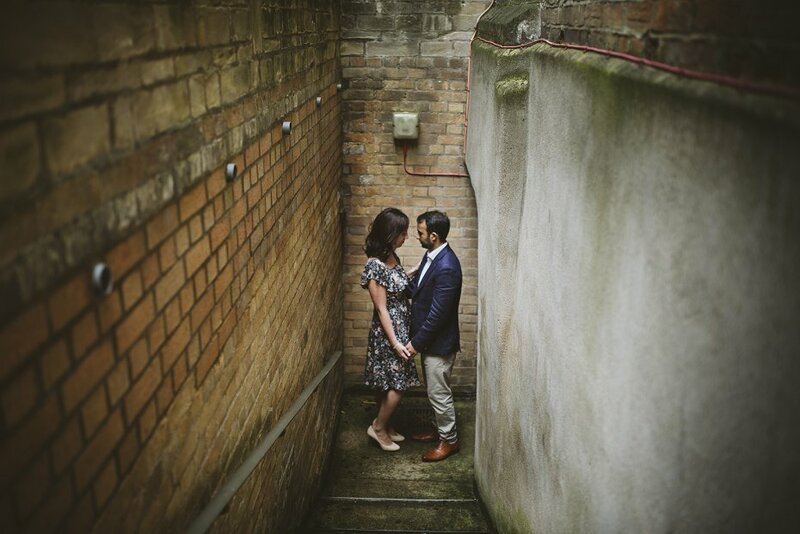 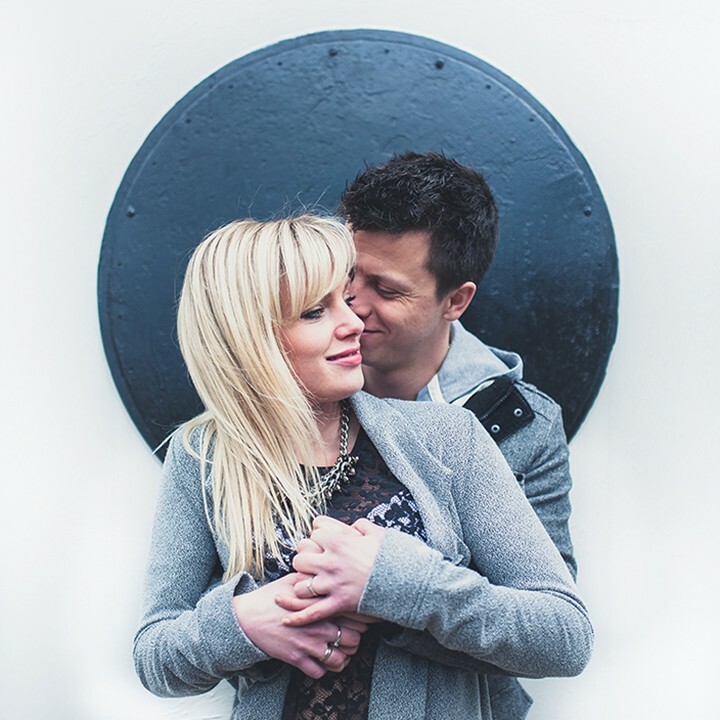 Noreen got in touch with me a while back and enquired about doing an engagement shoot with her fiancée. 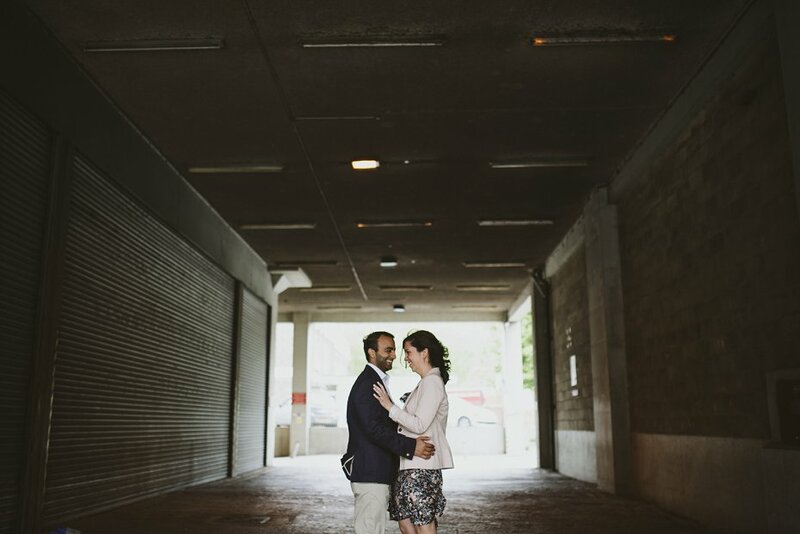 A date was set and on a rainy, windy saturday afternoon we did just that. 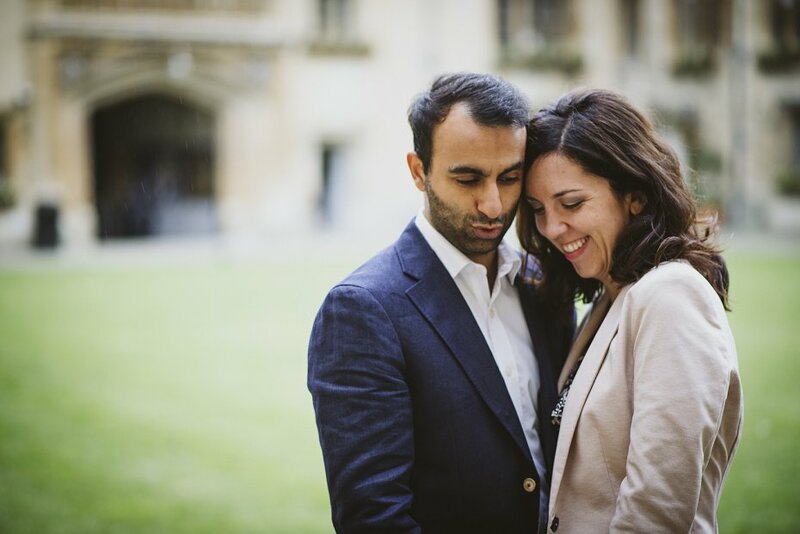 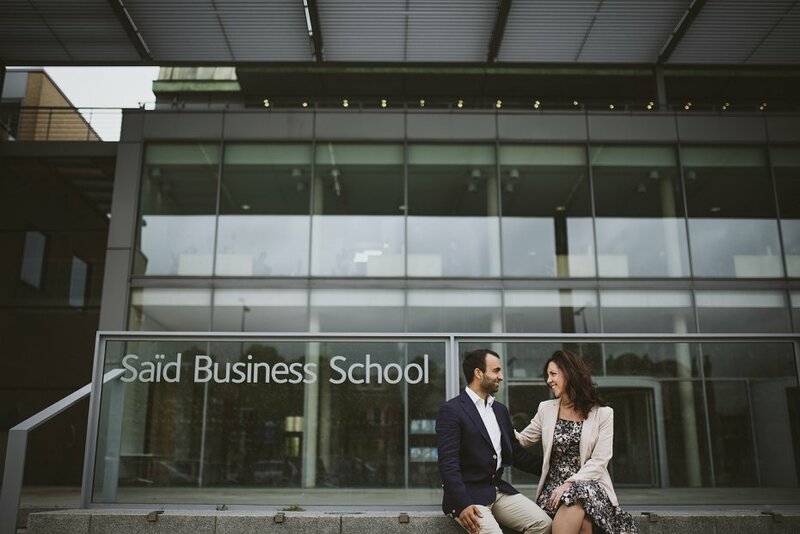 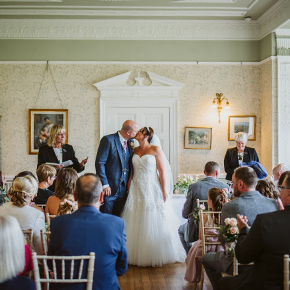 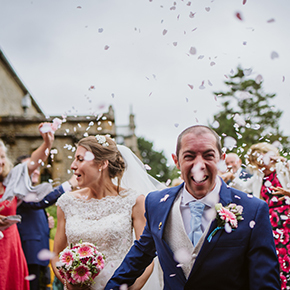 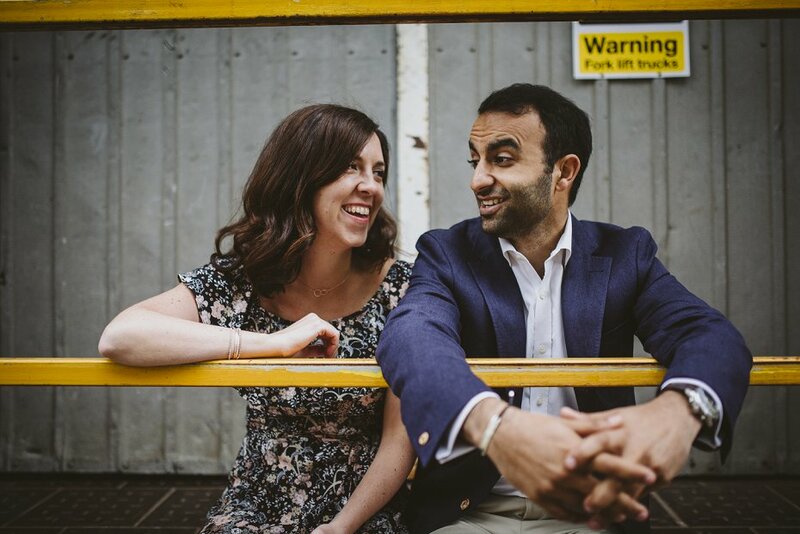 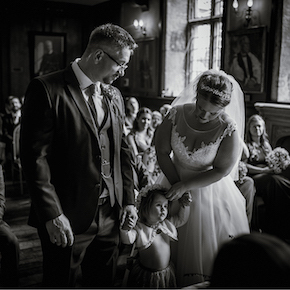 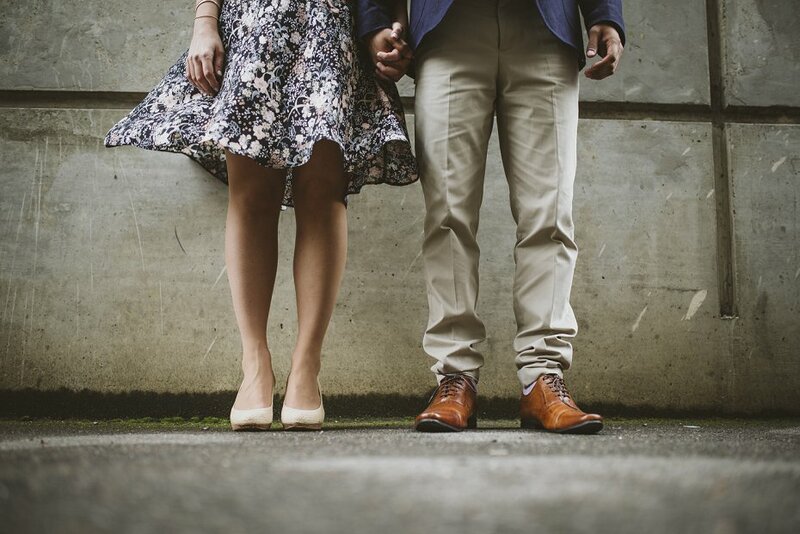 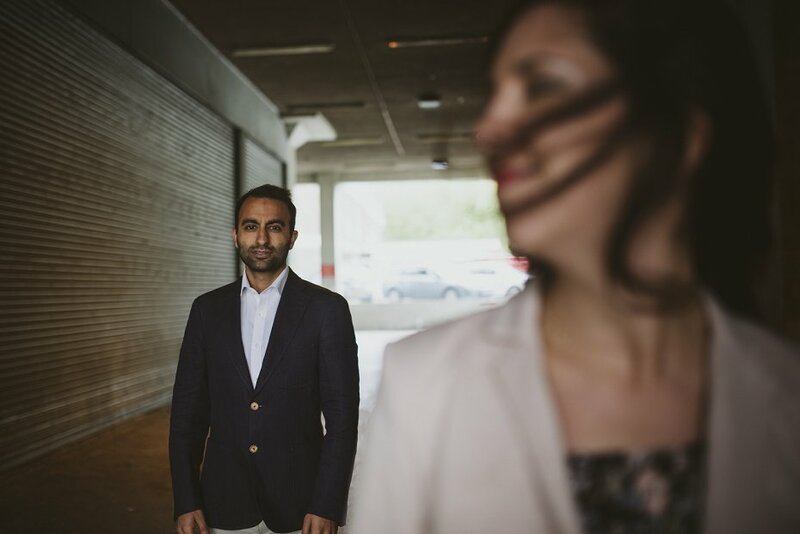 Noreen and Pritesh met at Said Business School and being as they were arriving from London on the train, it seemed like the perfect place to meet up and start the shoot. 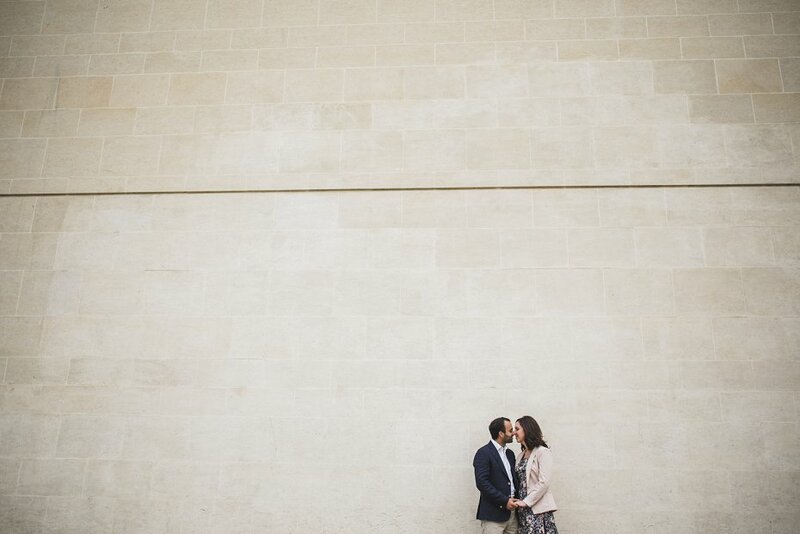 When couples choose a location for their engagement shoot I don’t really plan where we go. 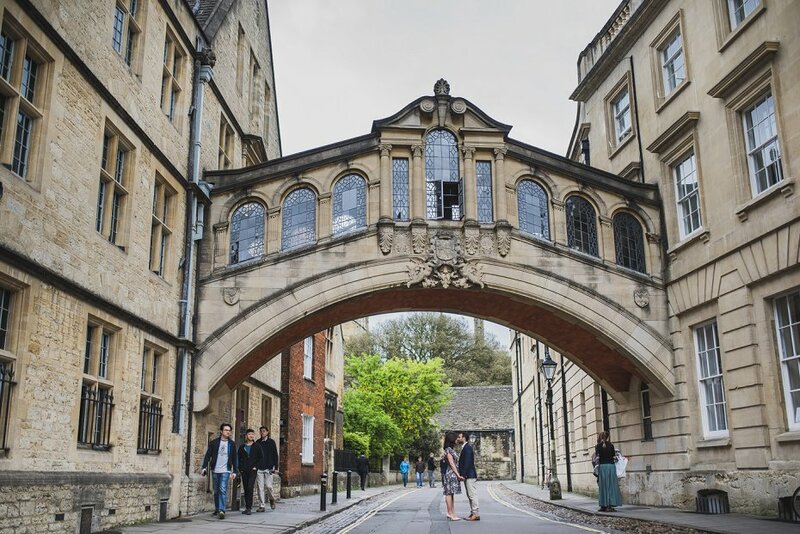 If i’m completely unfamiliar with the area, I may jump on google street view to have a quick look around for any interesting stuff. 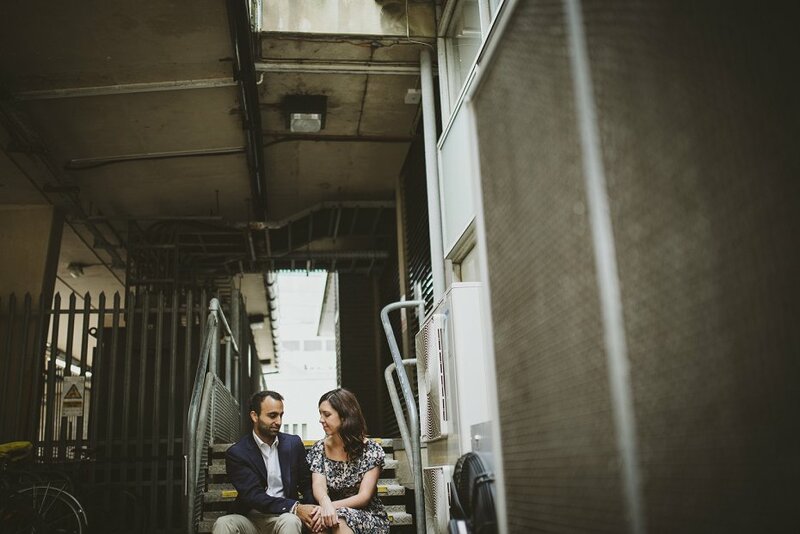 The problem with pre planning a route is the light will almost always be different so I find its best to just wander and look for nice light and interesting areas to use. 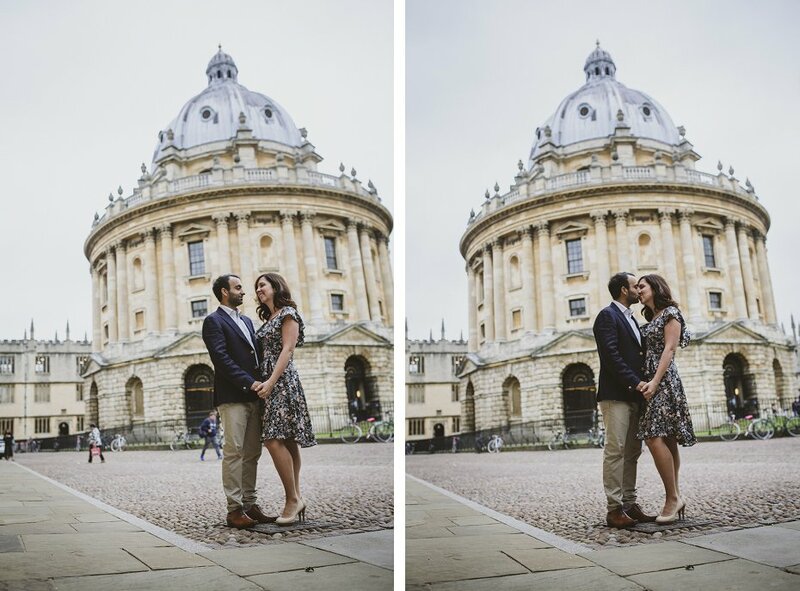 Because we were in Oxford and it has some fabulous landmarks we included some of them in our wander around. 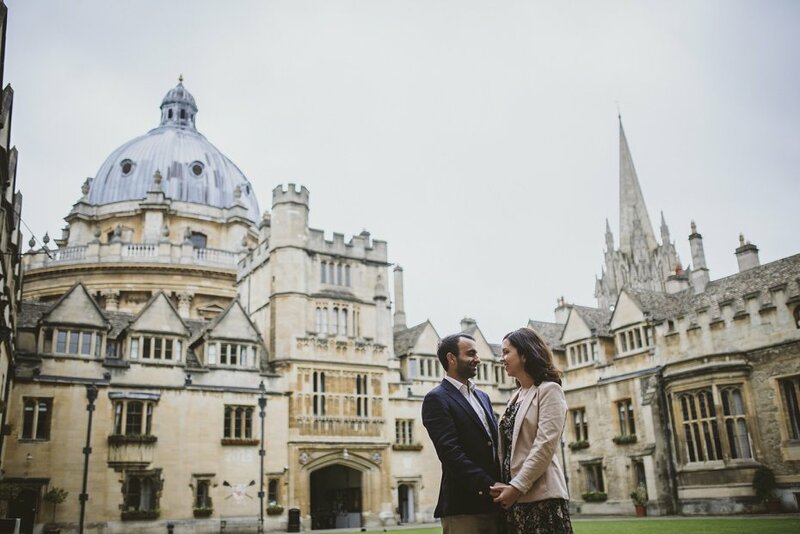 We also had access to Brasenose college as Noreen also studied there. 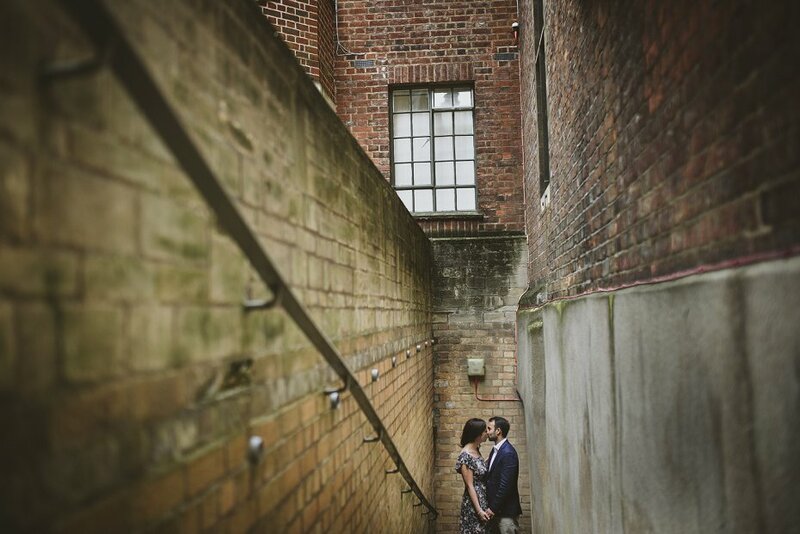 Despite the weather it was a fun couple of hours spent with two lovely people.